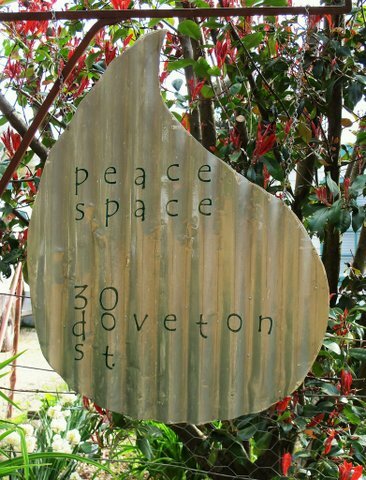 A truly peaceful space has become available at 30 Doveton Street, Elphinstone. This space is now whispering, beckoning those who will benefit from living creatively to come within its gentle fold. This is a property, land that will draw ‘the right people’. The current owners tell a delightful story of how they came to live here fifteen years ago. They were searching for a cabin and studio spaces, wanting to relocate from what they called their ‘sea space’ and came looking near Castlemaine. To cut a long story short they felt that the universe guided them here. They had to wait while the previous owners made up their minds to finally go but they knew, from the beginning, that they would come to call this space home. Over the fifteen years this property has been loved by their family, friends, the community and a broad healing community. Respond to the call! Come and visit and you will understand just what this place offers. From the first glimpse of the guardian owl totem at the entrance you will be enchanted and see potentialities. It looks and sounds fantastic, and aspects remind me of a property my wife and I used to own. I’d be interested if I was in the market. Best wishes with its sale. Tony, thank you so very much. Elphinstone sits at the junction of the former Calder Highway and the former Pyrenees Highway between Malmsbury and Castlemaine near Taradale, Chewton and Castlemaine. Its local government area is the Shire of Mount Alexander. The town has a disused railway station on the Bendigo Line. At the 2006 Census, Elphinstone and the surrounding area had a population of 736. The town was originally called Sawpit Gully, but was renamed Elphinstone after Baron Mountstuart Elphinstone, Lieutenant-Governor of Bombay from 1819 to 1827. The town's fair, renowned for its speciality foods and boutique local wines, is usually held in mid-November each year around the time of the fair in nearby Kyneton. It is called the 'Sawpit Gully' fair, in honour of the town's original name. The countryside around Elphingstone is well known for its diverse flora and fauna which attract local and visiting bush walkers. Being active online and optimising new social networking opportunities is an essential part of modern communication. 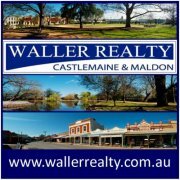 This blogging arm of the Waller Realty website has been created by Heather Blakey to offer a broad marketing strategy and a point of difference. For ideas about web optimisation contact heatherblakey at fastmail.fm.